Working with food has been a life long pleasure for Dean Michielsen. His childhood appreciation for food led to an apprenticeship in Niagara-on-the-Lake when he was a youth. Since then Chef Dean has been working toward his goal of becoming a Certified Executive Chef**. A graduate of George Brown, Chef Dean has worked at some of the most prestigious hotels and restaurants in Canada, including the Ritz Carlton Montreal, Banff Springs and Chateau Lake Louise. He was Executive Chef at Arrowhon Pines (formerly a member of the esteemed Relais and Chateaux) in Algonquin Park and at Whistlebear Golf Course in Cambridge. He was also co-owner of a very successful restaurant in Sault Ste Marie. Sharing knowledge is also important to Chef Dean. Sharing is being generous in spirit and action and practicing "we over me." To Chef Dean, hospitality is being genuinely warm and welcoming and tending to the comfort and well being of others. His emphasis remains on quality in the people he works with and in the food he serves. Quality is building pride into everything we do, consistently meeting all and setting new standards, attending to every detail, and constantly improving. 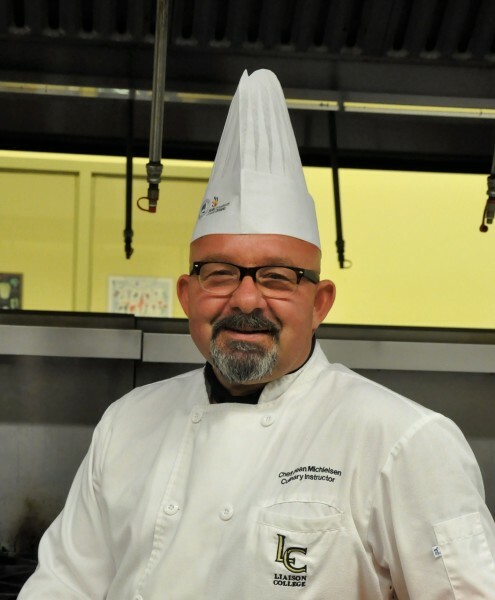 Chef Dean has been teaching at Liaison College of Culinary Arts in Kitchener, as an Instructor for over ten years. He continues to consult with new and existing restaurants while building his professional career. He has also been involved in Skills Ontario as a Judge and Mentor for over ten years. ** The Certified Chef de Cuisine designation is the highest professional culinary recognition and accreditation in Canada. It represents the culmination of the highest standards of managerial and administrative responsibilities, culinary skills and dedication to the cooking profession.